Periyar Tiger Conservation Park is a wild life conservation project which spreads over 7754 km square area. In which about 350 sq km is called the core zone and others are buffer zone. Buffer zone is only allotted for tourism while the core area is strictly prohibited. The national park is surrounded by the Periyar lake in the Peerumedu Taluk. In 1895 when the Mullaperiyar dam was built, the natural forest got submerged in the water. In the middle of the forest, water started to get accumulate and so the wild animals start visiting the pond. In 1899, it was decided to conserve the forest as a special part. The King of Thiruvithancore also supported the decision. In 1899, 600 sq km of forest was declared as Periyar Lake Reserve as a wild life sanctuary. The Thiruvithancore King Sri Chithira Thirunal Balaramavarma had put forward the law to conserve the forest. He also appointed S.C.H Robinson as Forest Conservation Officer. Soon Mr Robinson came to know the importance of the area and recommended that the area should be protected. The King then directed that this area should be protected and later become the sanctuary. Before independence its was called Nelikkampetty Wildlife Sanctuary. After Independence the area lying near the Nelikkampetty wildlife sanctuary was also made as a part of Nelikkampetty wild life sanctuary, and so the area was increased to 777sq km. As the size increased the name of the sanctuary was turned to Periyar Wildlife Sanctuary. The officials then conducted a study on the area and concluded that the sanctuary was the last home for the tigers. Since the Govt of India has decided to name National Park for all forests which conserve Tigers, in 1982 Periyar Wildlife Sanctuary got its name as National Park. Thereafter the Govt decided to declared 350 sq km of the forest area as prohibited zone. 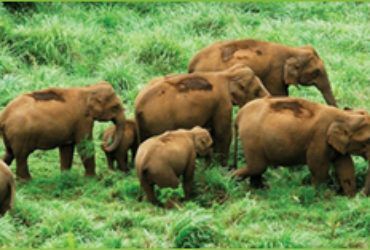 In 1991 Project Elephant was also implemented by the government in the Periyar wildlife sanctuary. In 1972, only 15 tigers were in the sanctuary. In 1989 the population increased to 45 tigers. Even though the population of the tigers increased, only rare sight of the tiger is possible. This is because the tigers have an enormous hearing sense and they only come out at night for hunting. At present approximately 60 tigers live in the Periyar Tiger Reserve. 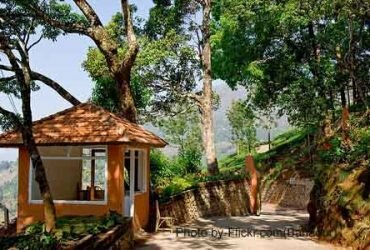 Do you want to visit this Periyar Wildlife Sanctuary in Kerala? 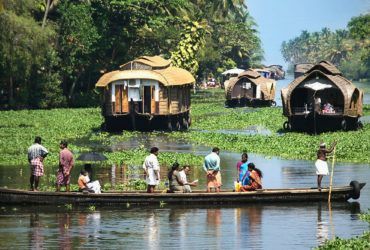 Feel free to contact us here to book your Kerala trip.